HyLine OffRoad Front Winch Bumper TJ-YJ-10SFB. These Winch Guard Tubes feature 1 ¾" Diameter .120" Wall Tubing that is CNC formed and finished with rust inhibitive E-Coating, then Powder Coated with a Lightly Textured Black finish. Light tabs are fully welded and designed to accept a variety of auxiliary lighting. 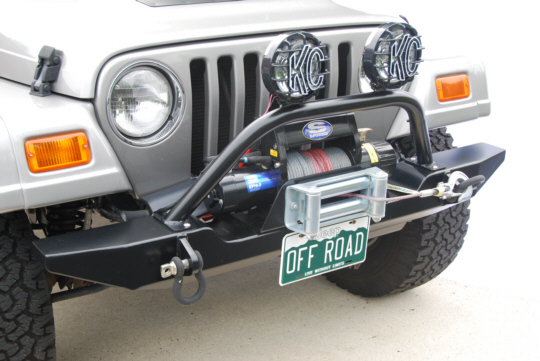 Fits Hyline Offroad Front Winch Bumper, although many offroaders have purchased this winch guard and installed it on their own bumpers.